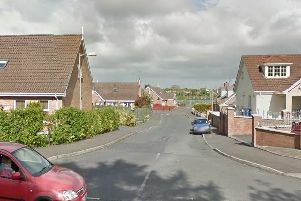 The victim of an assault in Craigavon suffered ‘substantial’ injuries, say police. Three men were believed to be involved in the attack on the black path between Drumgor and Enniskeen. The incident happened in the early hours of Sunday 27th January, between midnight and just after 2am. A PSNI spokesperson said: “The injuries sustained by the victim were substantial; including a broken nose, lacerations to his face around his eye, and four teeth knocked out. “Such violence has no place in society, and those responsible should be held to account to prevent further harm being inflicted. “If you know who is responsible or saw anything on the night, please call us immediately. The incident number is 199 of 27/01/19.